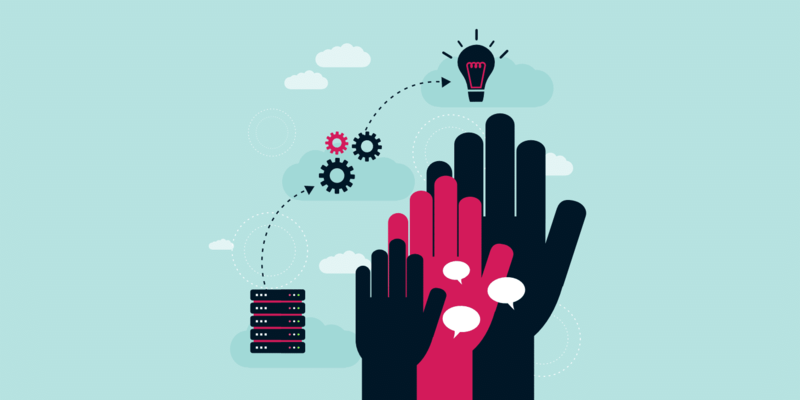 From chat rooms to forums, and social networks to email, being online allows people to remain connected with each other and find like-minded individuals who want to discuss certain topics. Forums, in particular, have extreme allure because of the conversation logging, community building, and easy integrations with websites. And there are plenty of forums to choose from online. If you like gardening, a quick Google search reveals several forums for you. The same goes for basketball, web design, email marketing, and there’s even a forum for men with long hair. 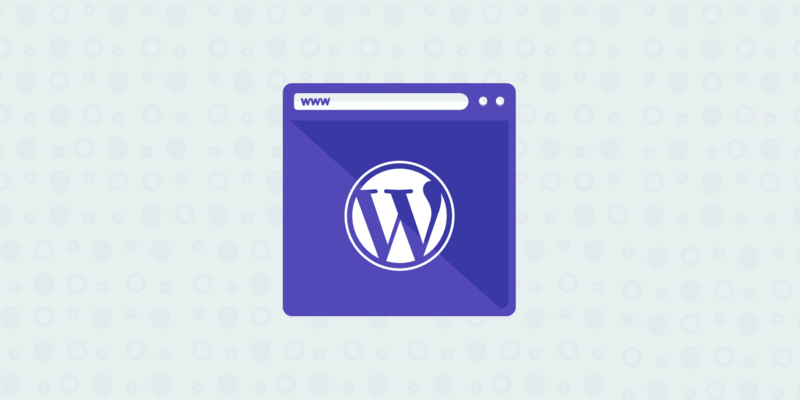 In order to make your own, you’ll have to consider a WordPress forum plugin to integrate the community portion into your current website. It’s also possible to turn your entire website into a forum, but in that case, you’re most likely going to use a WordPress forum theme instead of a plugin. The cool thing about forums is that they’ve evolved over the years. Those old forums with long threads and sometimes confusing dialogues are still around, but that’s because the format seems to work. We’ve also started to see several other forum formats, like the question and answer layout on a site like Quora and Stack Overflow, or the up/down vote arrangement on sites like Reddit. The good news is that you can achieve similar forum styles by utilizing some of the WordPress forum plugin options below. We’ll outline the best features from each plugin and talk about how much it’s going to cost you. Some of the forum plugins are well-known, but there are a few of them that you should take a look at if you’re interested in a forum revamp or you’d like your forum to look unique compared to the millions of other forums out there. The world of forums is ever growing, and you can be part of it with your very own WordPress forum plugin. So, keep reading to find the one that’s right for you. Plugins require testing to figure out whether you’re going to like the user experience and enjoy the way it appears on the frontend of your site. This is particularly true for forums, since you’ll have to manage the community and make the forum nice-looking so people want to come back for more. So, we put together a quick list for you to scroll through the WordPress forum plugins and test them for yourself. However, we also highly recommend viewing the in-depth reviews compiled below. From the setup process to the forum management, the features inside these plugins make up the experience you’re going to have on your website. Some of them are lightweight and useful for smaller, simpler sites while others offer robust feature sets for voting, user profiles, and messaging. Let’s see how each one stands out. The bbPress plugin is one of the most popular WordPress forum plugins. That’s partly because it’s been around for awhile, so there wasn’t as much competition back in the day. However, bbPress also offers familiarity. The frontend looks like you would expect it, and it has a lightweight build and unbloated interface. The bbPress plugin is kind of like going to McDonald’s instead of a sit-down burger restaurant. It’s not going to blow you away, but you know exactly what you’re getting. This plugin works the way it should and it has the basic customization tools for adjusting colors, making keyboard shortcuts, and enabling a visual editor for when users are writing. The bbPress plugin is completely free, so you can go to the website and not have to worry about some random upsells popping up along the way. It’s an opensource project, so several developers contribute to the plugin. For the user, opensource means that you often get consistent updates and, of course, the plugin is free. The bbPress website also provides some interesting resources to improve your forum. For example, one page is filled with bbPress extensions, while another has different themes that work nicely with the forum plugin. You can also find quality documentation and a full blog. As you may have guessed, the support is provided completely through a forum. What Are The Standout Features of This WordPress Forum Plugin? You don’t have to pay for it, and you’ll never have to pay for it in the future. All of the extensions are free as well. Speaking of extensions, you can opt to improve your forum with one of the over 200 extensions (they’re technically plugins, but that’s kind of confusing since bbPress is also a plugin). Some of the extensions include basic user avatar support, attachments, social sharing, breadcrumbs, and more. 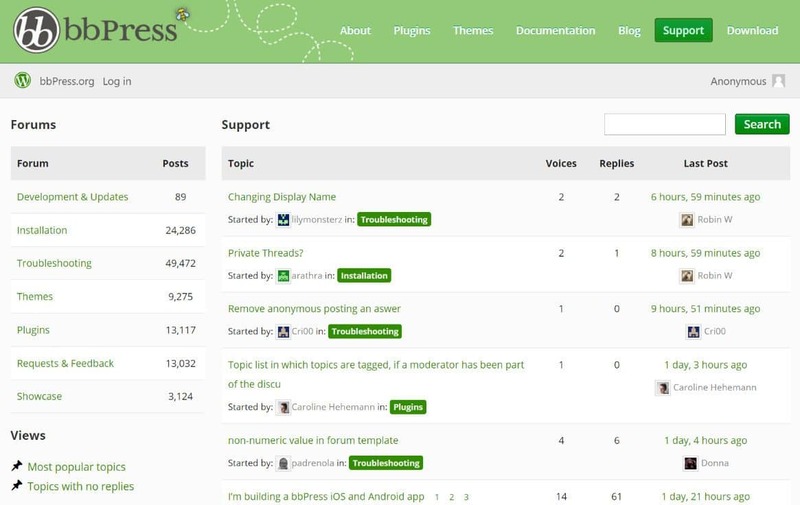 bbPress is one of the simplest WordPress forum plugins to set up. It fully integrates with all reputable themes, and it won’t slow down your site. It allows for multisite forums where you manage each of your forums from one dashboard. The bbPress plugin has several customizable templates, with simple, yet useful settings for changing things like colors and styles. Full Akismet support is built into bbPress so that you don’t see any spam going through your forums. It’s the closest thing you can get to a traditional forum, and it runs like it should. If that’s what you need, it’s a quality product. BuddyPress often comes up in the same conversation as bbPess, and that’s because both are the go-to solutions for online communities. Oh yeah, and they’re both made by the same development group. BuddyPress, however, is a little different. It’s for making a social network or online community, where users make profiles, join groups, and send private messages. The BuddyPress interface allows for sending out friendship requests, and you can make special groups for things like sports teams, companies, and schools. Similar to bbPress, BuddyPress is free and opensource. The interface is easy to navigate and you shouldn’t have any trouble getting it to launch on your website. It’s truly a little social network packed into a plugin, where you unwrap it and start turning your website visitors into an actual community of people. The great part is that you can combine bbPress and BuddyPress to offer a standard forum section along with an area for people to build relationships on a more social level. Similar to sites like Facebook, BuddyPress has an activity stream for viewing what your friends are up to. Favorites, mentions, and all of the cool features you would typically find on a social network are all included here. The best part is that you get to customize it for your own brand and develop a social site for your niche. BuddyPress is free, and the development is ongoing. Hundreds of BuddyPress compatible plugins are being developed every day. For instance, you might need a BuddyPress system with registration options. There’s a plugin for that. You may want to integrate BuddyPress with LearnDash–a plugin covers that as well. The plugin turns a portion of your website (or the entire thing) into a complete social network. You receive tools for users to make profiles, send private messages, and make friends. BuddyPress has been translated into various languages around the world. Therefore, you shouldn’t have to worry about what country you live in. The activity stream is the main hub for most BuddyPress sites. Luckily, it’s sleek and has options for people to comment, favorite, or delete. The plugin has a tool for extending profiles. So, if you wanted to add your own custom fields, that’s entirely possible. Notifications are included for both the admins and the users. This means that users get notifications when someone interacts with them, and the admin has the option to send out messages to the entire community. WPForo Forum is a free WordPress forum plugin, but the company makes money by selling add-ons. This add-on collection offers options for items like custom user fields, ad management, polls, private messaging, and more. If you go to the add-ons page you’ll notice that most of these extensions sell for anywhere from $11 to $95. We like the WPForo Forum plugin for those interested in a more modern design compared to bbPress. The colors seem brighter, the threads are nicely organized, and it’s rather difficult to get confused as a user. A few layouts are provided for you to get started, all of which have modern and responsive designs. Several translations are also available, from Swedish to Czech, and Polish to Russian. The great news about WPForo Forum is that it’s designed for both small and extremely large forum communities. It also has built-in SEO and caching functions so you reach the right people on Google and always have your forum running at its speediest. Both Antispam and Akismet are integrated into the forum plugin, meaning you can fight off some of that spam that’s notorious in forums. One of the main reasons I enjoy WPForo Forum so much is because of the large, colored counter areas, which tell users how many votes, answers, and views each thread has. It’s a more modern forum layout than bbPress and some of the other competition. Users can vote and give answers to questions. The profile system is fairly advanced, with member ratings and badges for giving out credibility. The forum management system is run with a drag and drop editor. Therefore, you don’t have to mess with any setting switches or the code. Users can subscribe to certain topics, then receive notifications when the topic gets updated. WPForo Forum offers three layouts: One with an extended forum, another with a simplified forum, and a final one with a question and answer format. Developers consistently make other plugins to be compatible with WPForo Forum. For example, there’s one plugin for advanced attachments and another for blog posting. Asgaros Forum is a solid choice if you’d like a lightweight forum page on your current website. The forum is added by inserting a shortcode into the desired page. Therefore, it keeps things fast and easy for the admin. The structure is simple and elegant, with a powerful editor and a notifications system. Users create profiles and then end up on your members’ list. People can also complete actions like uploads, searches, and messaging. Asgaros Forum is a completely free plugin. The developers do have a donation button on the website if you’d like to contribute to their work. As for the rest of the features, moderators can see who is online at all times. The plugin also works with widgets for adding different modules to the side of your forum. Asgaros Forum is multisite compatible, and it provides a mobile theme for your users to have conversations on their mobile devices. The topic and post management is about as simple as it comes. Guest postings are allowed, but you do have the option to turn this off. Asgaros Forum is free to use. There aren’t any upsells along the way. The statistics page is a great way to see how well your forum is performing. You can also tap into the admin tools for banning and searching for different users. Many file types are supported for uploads into the forums. The multisite functionality works great for those with site networks. It’s a lightweight, traditional forum layout with a hint of modernism in the design. Try the DW Question and Answer plugin if you’re thinking about making a community like Quora or Yahoo Answers. In this configuration, it’s still a forum–with threads and conversations–yet it’s formulated like a Q&A. Typically these types of websites have voting systems so the best answers rise to the top. That’s the main difference from a regular forum, since those are mainly a huge list of all the responses. With DW Question and Answer, you have more control over quality, since the trolls and people with questionable answers are sent to the bottom of the page. DW Questions and Answer is yet another free, opensource project. It also has some additional free plugins for things like markdown, social sharing, leaderboards, and captcha. Dozens of languages are supported, included Thai, Catalan, Vietnamese, and Czech. Shortcodes are also available in case you would like to quickly insert the forum into a certain page on your website. With the notification and voting system, the DW Question and Answer plugin makes for a pleasant surprise, especially considering how so many forums are converting to this type of Q&A setup. The forum is organized with questions and answers. This is combined with a voting system so that the best answers end up being shown first. There’s a captcha included to keep out spammers. The shortcodes help out with getting your forum on a page within seconds. You can also create a private question and answer section for an internal corporate discussion or for a certain segment of your userbase. Several add-ons are available for download. For instance, one of them adds a leaderboard to your forum, while another activates social sharing. The WP Symposium Pro Social Network Plugin is similar to BuddyPress in that it also turns your WordPress website into a social network. This includes a full forum and activity wall, but you receive several other elements that are only found on social networks like Facebook. After being installed, users come to your website and create profiles. They can manage those profiles and add friends who they want to communicate with. Email alerts are sent out when actions are taken. So, if you were to like something on a friend’s page or send them a message, they’d get a message explaining the action. Since forums are so useful for discussions on gaming, clubs, dating, and technology, sometimes it makes sense to expand on the conversational part of it and add the more advanced social profiles. One of the reasons WP Symposium Pro stands out is because of its collection of customization tools. Creative changes are typically done through shortcodes, where you add the shortcode to a page and adjust things like colors, fonts, buttons, and more. Many of the premium features come with the Pro version of this plugin. WP Symposium Pro goes for $29, and that pricing includes some decent support from the developers. The premium pricing isn’t all that bad. The plugin expands your forum functionality into a powerful social network. You still get those forums, but there’s so much more. There are far more unique features in WP Symposium than some of the other WordPress forum plugin options. As a quick example, selective sharing and YouTube video attachments are tough to find elsewhere. With the help of shortcodes, WP Symposium is one of the easier forum plugins to customize. You can fine-tune access and permissions for your forums. Custom fields are available for forum posts and replies. Liking and disliking is provided, but you can also turn it off if you’d like. The Discussion Board WordPress forum plugin delivers a minimalist, modern forum that you can place anywhere on your WordPress website. The one-click installation makes things simple for beginners, and the user registration process takes what we all know and love about forums, but makes it a little more practical. A frontend form is shown for these registrations, and then the users can post topics through another simple form. That seems to be what’s fueling the Discussion Board’s popularity, since we’re seeing rave reviews and several users turning to it instead of the better known options. This WordPress forum plugin has a lite version with standard forum functionality. This version would most likely work for the majority of organizations. The Pro version starts at a reasonable $29 and goes up to $49 depending on how many sites you’d like to use it on. Multiple discussion boards for different topics. Topic statuses (like Resolved and Open). The ability for people to follow certain topics. Board permissions and admin approvals. As you can see, the feature for having multiple discussion boards is only given in the Pro Plugin. So, the free version makes the most sense for small organizations and schools that only require one board. However, the $29 price tag is a small price to pay for any additional features you may need. You can get a simple forum for free, or you have the options for some powerful features at only $29. The Discussion Board plugin has one of the cleaner, modern interfaces. User management is a breeze, and the forum users can log in from the frontend with a basic form. The submission forms are also uncomplicated, making them somewhat easier to use than what we’ve seen in the past. Spam reduction is built into the forum, allowing you to keep out junk posts and bots that might make your forum less appealing for regular users. Three layouts are included with the WordPress forum plugin, and most of the customizations are done through the WordPress Customizer. You also get several shortcodes for items like lists, login forms, content, and more. The Pro version has tools for setting post statuses (great for customer support,) along with board permissions, and topic following. At $23 (one-time payment,) and with impressive reviews on CodeCanyon, Sabai Discuss is actually one of the only WordPress forum plugins I would recommend on CodeCanyon. The good thing about Sabai is that the developer is very responsive and willing to help out users before and after the sales. As for the forum plugin itself, Sabai Discuss features a discussion stream, like a standard forum, along with a question and answer tool. So, you could turn your website into something like Reddit or Quora. Or, you have the choice to stick with a more standard forum layout. The voting system moves answers up and down to show the best answers to all users. You also receive flexible access control, which could come in handy if you don’t want some users seeing all of the boards. Pair that with the user reputation system and you have a reputable forum experience from the moment you launch. The coolest part about the voting is that much of the site moderation is done for you. What’s more is that Sabai has a report abuse system. Therefore, your regular forum users can let you know if they think another user isn’t following the rules or treating people with respect in the forum. Another reason to consider Sabai is that you can add multiple instances of the forum throughout your site. You also have the opportunity to do this with your website network, which may come in handy if you have several sites. Finally, Sabai caters to users who want a new-age design. It’s fully responsive and flat, straying away from the forum designs of past digital ages. Overall, it’s more likely to satisfy those with modern websites, since the user experience feels current and it looks like a forum from this decade. The $23 one-time fee gets you a wide range of tools, along with great customer support, and a modern forum. You receive five shortcodes and nine WordPress widgets, improving the flexibility of your forum design process. The email notifications are sent out automatically. The plugin includes 10 of these email notification templates so you don’t have to write them up yourself. The forum specifically integrates with points systems like MyCRED and Cubepoints. Over 40 permissions can be configured to restrict some users from seeing content. The reputation system gives credit to those who are the best contributors on the forum. The voting module ensures that only the best answers rise to the top of the forum. The search bar has a smart suggestion feature for rapidly moving about the forum and finding the right topics. Most of the other WordPress forum plugins on this page have a search bar, but without the smart suggestion. The last solution on our list is called Forums from WPMU Dev–but just because it sits at #9 doesn’t mean it’s the worst, at all. In fact, I would argue that the Forum plugin is one of the best you can find. The only part that’s tricky is that you have to signup for a WPMU Dev membership. For developers, this decision might be a no-brainer. After all, you only have to pay $49 per month for access to just about every type of plugin you need. This includes plugins for security, marketing, SEO, backups, and more. Not only that, but the development membership offers some awesome themes for you to utilize on multiple client websites. If you’re thinking of making one or two forums, it’s tough to swallow that $49 per month price tag. When you look at the competition, a forum typically goes for under $50 (one-time fee) or you can download it for free. Regardless, I don’t want to skip the Forum WPMU Dev plugin since developers love it and you get so much for your membership. The Forum plugin allows you to set up a forum on every one of the sites in a network. The forums can be embedded into any post or page, and there are no limits on the number of forums you can create. The reason I like the Forum plugin so much is because of how easy it is to use. The styling options are great for adding the right colors and designs, while the embedding is done with some basic code. there’s even a tool to set the maximum number of forums if you’d like to limit the size of your community. The customization tools are amazingly simple. You can set the border size, change around colors, and adjust fonts in one customization area. The simple embed code makes configuring your form much easier. Not only that, but you can drop the embed code on any page, post, or website in your network. Since the Forum plugin from WPMU Dev is meant to work well with WordPress multisite, it has site-specific forums for that purpose. The plugin lets you limit the number of topics per page, the number of posts per page, or the number of forums on your website. It has a quick, powerful forum search bar for people to find the right topics. Which WordPress Forum Plugin is Right for You? WordPress forum plugins are still wildly popular and needed for generating the conversation that both small and large organizations require. When you’re completing your search you might want to go with a tried and true plugin like bbPress, or maybe you’re tired of that interface and would like something more modern like WPForo. On the other hand, some organizations and communities are more interested in social networks. In that case, plugins like BuddyPress make the most sense. Most affordable WordPress forum plugin: bbPress. If you’d like to make a social network with your forum: BuddyPress or WP Symposium Pro. For a cleaner, more modern design: WPForo or Discussion Board. The best WordPress forum plugin for developers: Forum by WPMU Dev. The best plugins for making a question and answer style forum: DW Question and Answer and Sabai Discuss. And that’s all we have to say about WordPress forum plugins! If you have any questions about our selection or you’d like to state your opinion about some of the plugins discussed, feel free to let us know in the comments section below. Great article! I would be very interested in learning different ways to increase traffic on new forums.